Has anyone here installed Rockbox on a Hifiman HM-601LE? I received one a few days ago and installed Rockbox on it, but there have been a few issues that make me return to stock firmware. The first issue is that the theme is all messed up. Clearing the backdrop fixes this in the menus, but not on the Now Playing screen. It's not a huge issue, as it's still usable and I can also change themes. The second issue is the bigger problem. When playing some songs, the sound is all messed up. Sometimes there is a ton of static/crackling. And other times a different song is being played, sped up, and with the static/crackling. Even when listening to one album, some songs will play fine and some will have this issue. One thing to note is that the HM-601LE supposedly uses the HM-602 firmware, so that's the firmware that I've been modifying. I did speak to someone over at Head-Fi who says he Rockboxed his 601LE with the modded HM-602 firmware, but he doesn't have the sound issue that I'm encountering. Re: Has anyone here installed Rockbox on a Hifiman HM-601LE? Can you elaborate what changes you introduced? First, I had to take the BASE.RKW from the System folder (of the firmware) and place it in the .rockbox folder. Then I downloaded the bootloader.rkw from the Hifiman port page, renamed it to BASE.RKW and place it in both the System and System00 folders (of the firmware), replacing the original BASE.RKW files. Then place the firmware file onto the internal storage and the .rockbox onto the SD card. I also tried using the mkrk27boot.exe method, but got the same result. 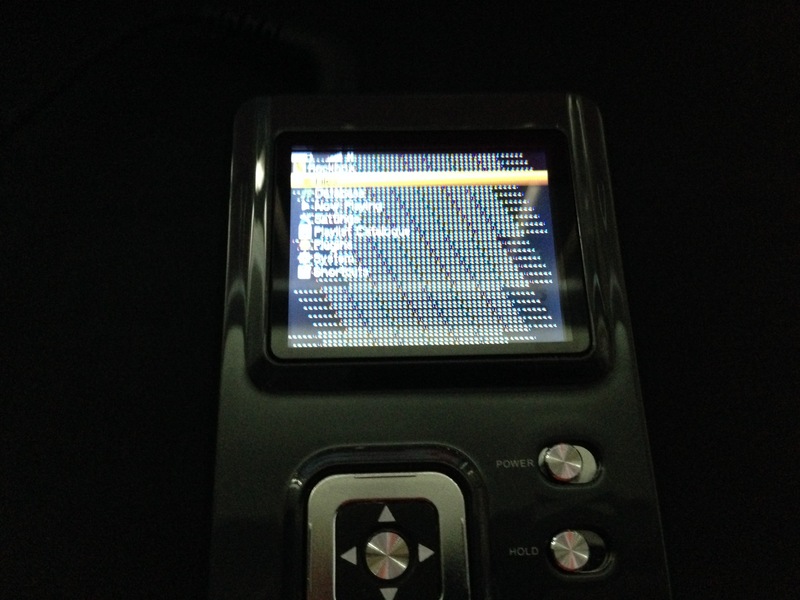 This looks like more general problem with current version of rockbox. We are investigating the issue but offending commit is HUUUGE. If you pop up on irc I may provide you with test build which may solve your problem. Sure thing! I don't think I'll be able to hop on tonight, but hopefully tomorrow. What time (and in what time zone) would be best for me to catch you in IRC? Also, would these test builds be any riskier than installing any of the current builds? It should fix display issue, and as I expect the sound issue as well. So far so good, thanks so much mortalis! I have a same problem - white screen on HiFiMAN HM-603. All new builds doesn't work, but build from this message works fine.